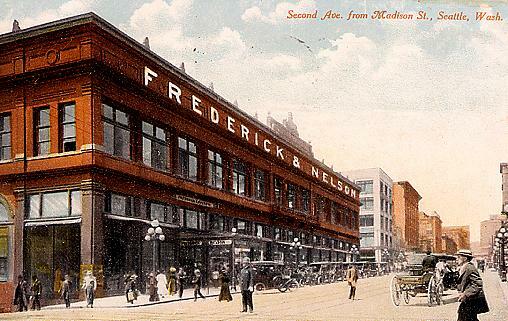 Frederick & Nelson as it looked when it was located on Second Avenue. 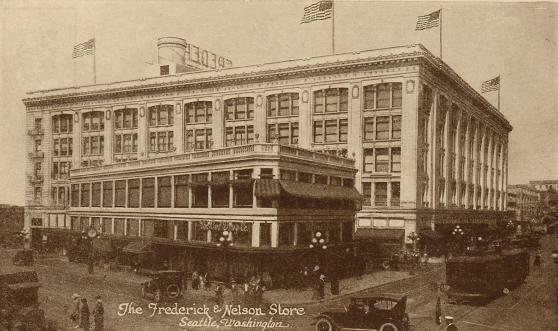 Frederick & Nelson was founded in Seattle in 1890. It originally consisted of two partners, D.E. Frederick of Georgia and James Mecham who had been mining pals back in Colorado. 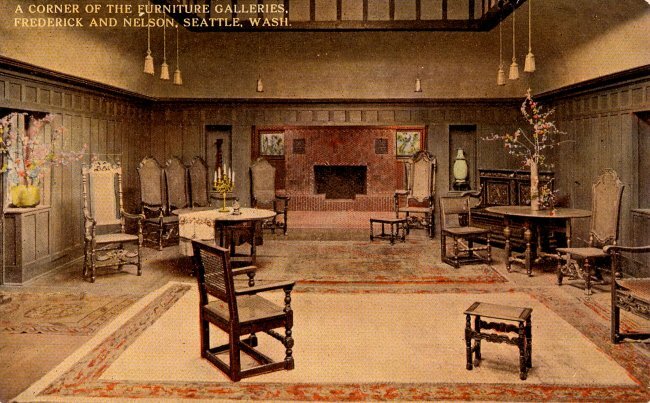 They happened to connect shortly after Frederick arrived in Seattle on a steamer in 1890 and they pooled their resources to start a second-hand furniture business. After setting up shop in several locations, the business was named J.G. Mecham and Company. Another mining pal arrived from Colorado and Nels B. Nelson, who was born in Sweden, purchased with cash a one-third interest in the business. Several months later Mecham sold his interest because of ill health. The name was changed to Frederick & Nelson and they vowed to create the largest and finest store west of the Mississippi and north of San Francisco. D.E. 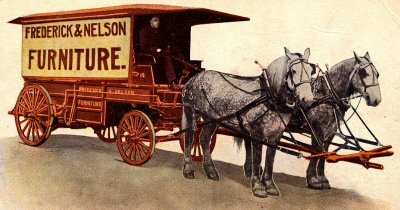 Frederick and Nels B. Nelson proved to be a natural team. Frederick had a keen instinct for merchandising and a high regard for service while Nelson’s outgoing personality was the driving force for the store’s success by making friends and forging partnerships. Corner of the Furniture Galleries at Frederick & Nelson. Early customers included the local Chinook Indians and a thriving populace fueled by the news that Seattle would become the Western Terminus for the Great Northern Railroad. 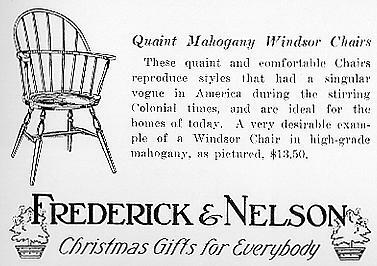 In 1891, the partners acquired the Queen City Furniture Company and began selling new furniture. They proclaimed, “What our customers want, we will give them. Service is our motto.” Their sincerity was tested when just before closing time on a snowy Christmas Eve in 1890, a customer came in to purchase a second-hand rocker for his wife for Christmas, provided it was delivered that night. Frederick & Nelson both sloshed through the snow to the top of Denny Hill to deliver the heavy chair. This was the first delivery in the history of Frederick & Nelson. 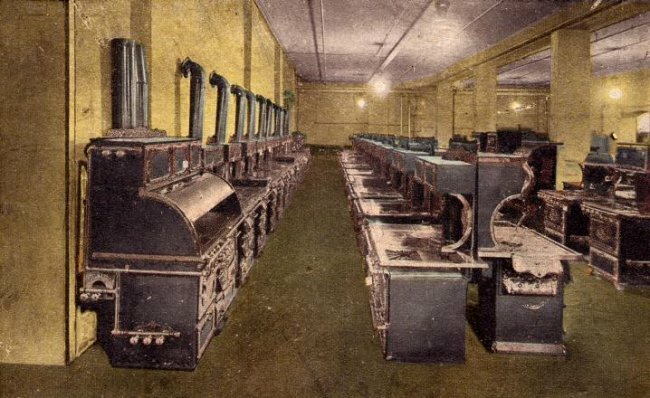 Legend has it that their first credit customer was an Indian woman who coveted a second-hand parlor stove. The stove was hers for weekly payments of berries, a woven mat and a sweet grass basket. Frederick & Nelson purchased the assets of the Pacific Carpet Company in 1897 and the company was consolidated with Silas Munro’s New England Furniture Store and the name changed again, to Frederick, Nelson and Munro. The Yukon Gold Rush in Alaska around the turn of the century fueled further growth of Seattle. There was a growing demand for fine furnishings in the blossoming hotel business as well as in the fine homes of the city’s inhabitants. Their simple philosophy was that “If a customer asks for it, get it and if enough people want the same thing, start a department.” There were departments for furniture, carpeting, house wares, china and draperies. They even had a mattress factory. Munro was leery of rapid expansion and he soon parted company with Frederick & Nelson. Tragedy struck in 1907 when the ailing Nels Nelson was returning from a trip to a medical spa in Bohemia and died at sea. Frederick was left to run the entire operation. This view shows the magnificent Tea Room at Frederick & Nelson. The Majestic Range Company published a set of post cards for the Alaska Yukon Pacific Exposition in 1909. Frederick & Nelson sold Majestic Ranges and used them exclusively to prepare their excellent cuisine. Frederick and Nelson’s beautiful new store at Fifth Avenue and Pine Street. Expansion plans floated in 1914 for a brand-new building six stories tall with a seventh floor in the basement. Despite a shortage of building materials that were needed elsewhere to fight the First World War, the building opened the day after Labor Day on September 3, 1918 at Pine Street and Fifth Avenue. Over 25,000 shoppers and guests made it through the doors that day. Frederick was forward-thinking enough to make the foundation strong enough to hold 10 stories. 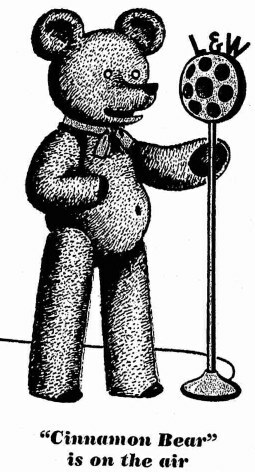 Even though businessmen and financiers branded the project “Frederick’s Folly”, his dream was finally realized three decades later. The building housed a beauty salon, post office, movie picture auditorium, a fully equipped medical facility and a nursery. Later a kindergarten and a children’s barbershop were added. There were reading and writing rooms and the large, elaborately furnished Tea Room could seat 400. 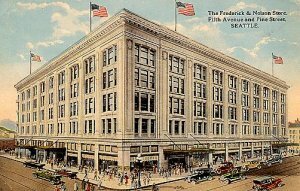 After Frederick & Nelson moved to Pine Street, the rest of Seattle’s department stores made the move to that area of town also, which remains the heart of the retail district. You can’t talk about Frederick & Nelson without mentioning Frangos melt-in-your mouth chocolates. 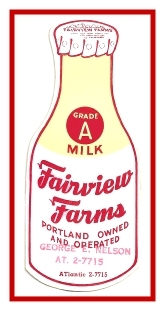 The name probably originated from FRederick And Nelson COmpany or FRANCO. When the revolution occurred in Spain, the company did NOT want an association with the dictator and so FRANCO became FRANGO. According to a trademark document from the U.S. Patent Office, the name Frango was first officially used on June 1, 1918. A popular item on the Tearoom Menu was a frozen dessert called Frango and it was available in maple and orange flavors. In 1926, the consistency of the Frango Dessert was described as flaky, requiring the use of a fork, not a spoon, as you would use with ice cream. Eventually the Frango dessert line included pies, ice cream sodas and milk shakes. 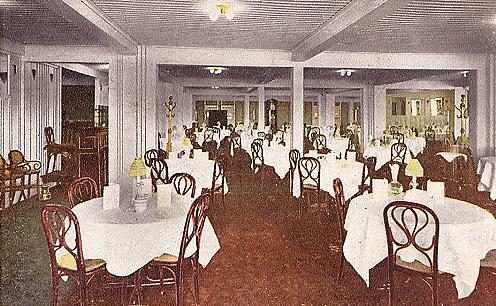 It was decided upon in 1928 or ‘29 that Frederick’s should offer a chocolate mint truffle. 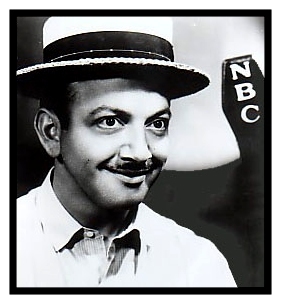 Candy maker Ray Alden is credited with developing the Frango Mint. His secret recipe called for chocolate from cocoa beans grown on the African Coast and South America, triple-distilled oil of Oregon Peppermint and 40 percent butter. A few months after Frederick sold out to Marshall Field’s in 1929, Frederick’s candy makers in Seattle were summoned to Chicago to introduce Frango’s to Marshall Field’s to help build slumping sales during the great depression. Soon the candy kitchen at Marshall Field’s had produced their own Mid-western interpretation of the Frango Chocolate recipe. At the age of 69, D.E. 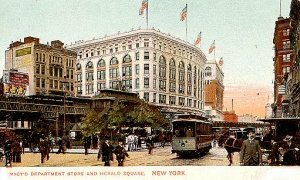 Frederick decided to retire and sell the store to the Marshall Field Company in 1929 for six million dollars. 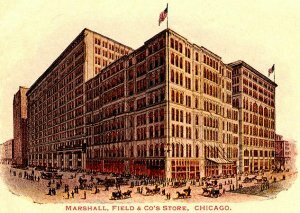 He was most impressed with the policies of Marshall Field and had even patterned Frederick & Nelson after Marshall Field and Company. They signed a 99-year lease on the property that would pay Frederick (and later his estate) $100,000 a year. In 1943, Frederick & Nelson opened a satellite store at Boeing Field at the Boeing Airplane Company’s number 2 plant. They supported the war effort and built a loyalty among the airplane manufacturer’s 47,000 employees. 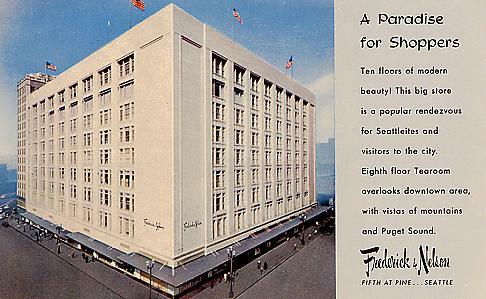 Frederick’s also established a “Victory Post” on the main floor of the Seattle store, selling war bonds and stamps. Frederick’s was one of a handful of stores in the nation to receive a Treasury Department T-Flag. The T-Flag signified that over 90% of the employees invested at least 10 percent of their earnings in war bonds. After remodeling and the addition of floors, Frederick & Nelson sparked several improvements to the business climate of Seattle. D.E. Frederick’s dreams for expansion of the original store at Pine Street and Fifth Avenue finally were finally realized when the grand opening was celebrated August 4, 1952. There were 10 floors above ground and two below. On the tenth floor, the company built a modern candy kitchen that could turn out more than five hundred thousand pounds of Frango Chocolate a year. By 1980, Frederick and Nelson became one of the fastest growing stores in the nation, quadrupling from four stores to 15. 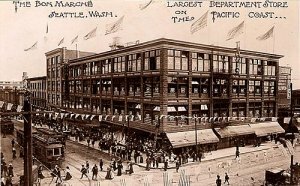 Marshall Field’s acquired three Liberty House Stores in Portland and two in Tacoma as well as six Lipmans stores in Oregon from the Dayton Hudson Corporation. They were all converted to Frederick & Nelson stores. 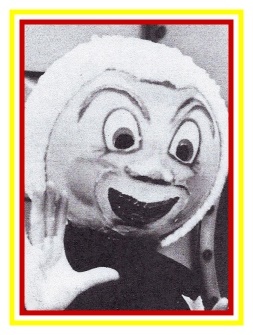 By the mid-1980’s they were beginning to close the Oregon stores. One Oregon location at Washington Square lasted until 1990. Management changes occurred in 1982 when Batus Inc. of Louisville, Kentucky bought all of the outstanding stock of Marshall Field and Company. 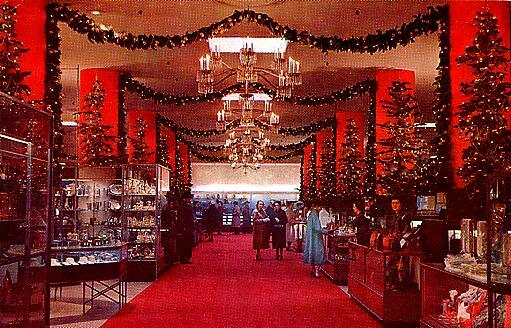 The Batus Retail Division now included Marshall Field’s, Saks Fifth Avenue, Frederick and Nelson, Gimbels, Kohl’s and a number of other Department Stores. Ownership would change three more times in the next nine years as business went on a downward spiral. Batus sold the money-losing Frederick & Nelson to local investors in January 1986, and shed itself of Gimbels and Kohl’s as well. Poor management decisions led to an over abundance of lower-priced, out-of-season merchandise and large investments in inventory at the wrong prices. Frederick & Nelson was no longer known for trendy, upper-end clothing and a weak economy started a trend that eventually brought the downfall of this once great institution. Local investors weren’t able to keep the institution alive. 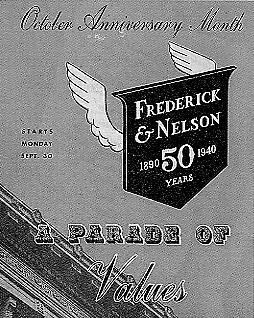 After over 100 years in business, Frederick & Nelson could no longer pay the bills and closed the doors for the last time in 1992. The building was later remodeled and opened as Nordstrom’s flagship store several years ago. Nordstrom’s began as a small shoe store in Seattle. Swedish immigrant John Nordstrom left the Klondike Gold Fields in Alaska with his partner Carl Wallin for Seattle. 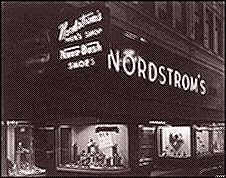 They used their stake from the Alaska Gold Rush to open the Wallin & Nordstrom Shoe Store in 1901. John Nordstrom’s business philosophy was based on exceptional service, selection, quality and value. Success led to expansion and eventually Nordstrom decided to retire in 1928, selling his shares to his three sons: Everett, Elmer, and Lloyd Nordstrom. A year later, Wallin sold his share of the company to the brothers. They grew it into the country's largest specialty store while introducing the concept of targeted customer service to Nordstrom shoppers.